Melita Schaum won the fall 2010 A Room of Her Own Foundation’s prestigious Orlando Prize in Creative Nonfiction, an honor that—in addition to providing $1000 and publication in The Los Angeles Review–earned her a Pushcart Prize nomination. What is she doing right? A Room of Her Own got the inside scoop, as well as an audio clip from her recent ventures into the world of mixed media and sound arts. 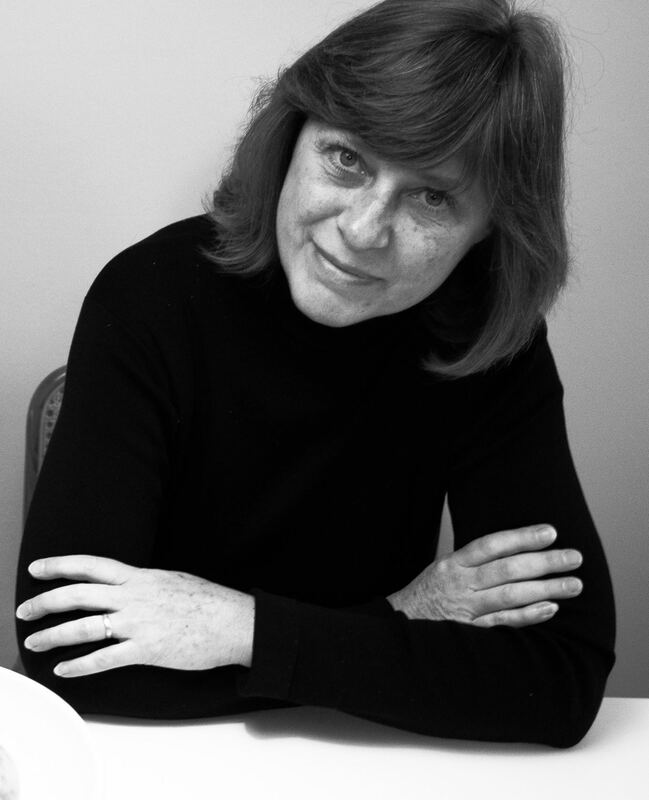 Melita Schaum is an English professor at the University of Michigan-Dearborn and the author of A Sinner of Memory, a collection of personal essays, as well as several books about the poet Wallace Stevens and women’s issues. She has received numerous nominations and awards including the A Room of Her Own Foundation (AROHO) $1000 Orlando Prize in Creative Nonfiction for her essay, “Constellations.” The essay, which was published in The Los Angeles Review’s Spring 2011 issue as part of the Orlando Prize, earned her a nomination for the coveted Pushcart Prize. What can she tell us about the mysterious process of submission and that most elusive of goals—publication? Melita, we are obviously fans of your work, and we know we are not the only ones. Do you ever struggle with self-doubt as a writer? Who . . . me? Self-doubt . . .? Of course! As artists, we’re constantly assessing ourselves. It’s part of the job description. Self-doubt is just self-assessment’s toxic sibling. Once you realize that self-doubt is just as illusory as self-confidence, then you’re getting somewhere! I’d like to answer your question with a story, something that recently happened to me. Just over a year ago I lost a longtime friend to ovarian cancer. She’d been an artist, a painter, and she left me her studio full of brushes and beautiful pencils–exquisite things from Kyoto and Berlin. I’ve had them in boxes since last April, but a month ago I opened them and went out and bought myself a sketch pad. I haven’t drawn since college, and even then I wasn’t much good, but I decided to try again. The problem was that blank white first page. I just couldn’t make the first mark. It stared me down, silenced me, dared me to think I was worthy enough to try the art form my friend had been so good at. I knew it wasn’t a competition, but it was almost something harder–a remembrance, a tribute to her. How could I measure up to that? What do you find to be the biggest challenge facing you as a creative woman today? I would have to say finding “headspace”–the right psychological zone in which to work–in a world that seems to be increasing in noise and distraction and demands. As women we’re often pulled in so many directions, both by requests made of us from without and by inner voices that nag at us. Even when you can carve out time to write at home, often that space is filled with unfinished business, guilts, to-do lists, ring tones, emails, distractions. It’s why I find time away at artist colonies to be invaluable–a “hermitage” away from other media, the permission to be quiet and attend to one’s own mind. I think Virginia Woolf had something to say about that too. What would you say has been the biggest result of receiving the Orlando Prize and the subsequent Pushcart nomination from LAR? Receiving the Orlando Prize, then later a Pushcart nomination from the Los Angeles Review was just the greatest feeling of being supported–I felt literally embraced, held up. The day I learned I’d won the Orlando Prize was the day my husband went in for triple bypass surgery, a sudden and unexpected operation. I had that dazed, terrified, deer-in-headlights feeling–and I literally learned of the Orlando Prize on the Internet in the waiting area of the Mayo Clinic cardiac surgery. Ironically, my husband was the man I’d written about in my essay “Constellations,” the man I was back then just getting to know. The notice of the prize was so unbelievable, like a blessing or promise, something coming full circle. He came through the operation just fine. But it was as if the encouragement from both AROHO and LAR supported more than just my writing–it gave my whole spirit a boost, reminded me of the bigger picture. It is clear in “Constellations” that the form of your writing—the structure and the craft of it—is vital the message of the piece, is in fact part of the content of the work. The essay itself, as you say in the piece, “is a constellation.” Can you talk a little bit about your awareness of form as you write? In my writing, form tends to find itself, but sometimes I have to get out of the way. If I approach a piece with too many preconceptions, with too much of a desire to “lead” rather than to “listen,” it can die on the page. Discovery is always a part of my writing process. When I was composing “Constellations” I was thinking a lot about Woolf and her description of the process of thought–the little fish on the line that can so easily be lost, the search for insight that flickers and dives and surfaces again. It’s a kind of ballet worth trying to capture. I’m certainly not the first writer to attempt that. And the matter of that essay–the fleeting nature of love, identity, memory–leant itself to that fractured form. In life, as in the essay, meaning tends to happen in the spaces between, the resonance that happens when two things are placed side by side. Once I stopped trying to guide the essay, it shaped itself fairly easily. There’s no set formula for this–a piece can come together in an afternoon, or it can take years. A better way to put it might be that all writing takes “years” to come together, if you count the whole process: the living, the reflecting, the simmering of ideas, the gradual growing urge to give it voice. The story taking shape in words is only the final short act of a long drama. I recently published an essay titled “Adam’s Curse,” which also was nominated for a Pushcart Prize, that I had wrestled with forever and almost given up on. I wrote the opening five pages, then drew a blank. After setting it aside for four years, I came back to it with a fresh outlook, and finished the piece literally in a weekend. It took an entirely different turn than I’d expected, but I suppose all that time it had been simmering, waiting for me to catch up to it. You know a piece is “ready” when the ideas fall into place at last, but it being “finished” is something else. I’m a compulsive reviser, polisher, tweaker, rewriter of sentences. Once the structure of an essay comes together, which feels effortless and natural, the technicalities need to be perfect, which is plain hard work. I’m one of those writers who will take a comma out and put it back in twenty times before I’m satisfied. Do you have any tips for women who are submitting their work for publication or for contests such as Orlando? Any “do”s or “do-not”s? but “Constellations” was rejected by numerous publications before winning the Orlando Prize. It’s an experimental piece, so I think few people wanted to take a chance on it–until the Orlando Prize and LAR. It sounds like a cliché, but stay true to your work. What is one resource you wish every woman writer knew about? Over the years I have had extraordinary experiences at writer’s colonies and artist residencies around the world. 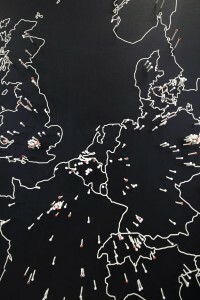 I think every woman should check out Trans Artists, a resource listing domestic and international artist residencies:http://www.transartists.org. Have you read anything recently that you would recommend? 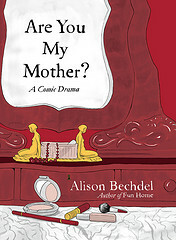 I recently picked up Alison Bechdel’s graphic memoir, “Are You My Mother?” I’m preparing to teach a memoir writing course again this fall, and am very interested in new media forms, like Bechdel’s cartoon work. Her work has extraordinary depth, wit and insight–I love the way she’s able to split the self into multiple levels through captions and dialogue bubbles: the public persona and the private self, speech and reflection, foreground and background. It perfectly captures the many “voices” we’re made of, as writers and women and people in today’s world. Do you have any tips for getting back “in the flow,” for getting inspired, or for maintaining discipline in your writing life? I’m a great believer in “sacred drift,” to borrow a Beat-Buddhist term: setting aside some time–an hour, a morning, ten minutes–to walk somewhere without preconceptions, open yourself to the unexpected. I do this with photography sometimes, launching myself into the streets with my camera and whatever silly, arbitrary “rules” and directions come to mind–walk three blocks in any direction, turn left and walk until you see something blue or hear music from a car, photograph the first thing you see that represents “openness,” or “connection” or “conflict,” etc. For writing, this kind of wandering works to shake your head free of expectations, reminds you to pay attention, even though it might just be three blocks from home. Life never disappoints with new material if we just become beginners again and again. What are you most excited about currently in your own writing life? Any new projects on the horizon? My latest enthusiasm is spoken word arts. My hero is Laurie Anderson, the sound artist, whose work I’ve followed since the early eighties. And just last night I saw Ira Glass’ new performance, “One Radio Host, Two Dancers,” in which he combines storytelling, radio work, and the expressive dances of Monica Bill Barnes and Anna Bass–a fabulous, incongruous show that brought the house down. Mixed media seems to be the direction at present. I’m especially interested in exploring the uses of soundscape and music to amplify language. Just this summer I’ve begun recording “straight” readings of a few of my own short essays, and am on my way to Duke University next week to attend a course in audio production at their Center for Documentary Studies. I’d like to experiment with the dimensionality of lyric essays–voice as sound, music as a way to broaden what language can do on a page. I’ll attach a link to my very first attempt, a short piece titled “Blue.” It’s technically a bit rocky–weren’t we talking earlier about self-doubt? Beginnings are always shaky, but that’s what makes them exciting. It’s lovely and liberating to be a beginner at something again.